If you are looking for a unique vacation this year, then look no further than these 10 unique lodging options in Colorado! 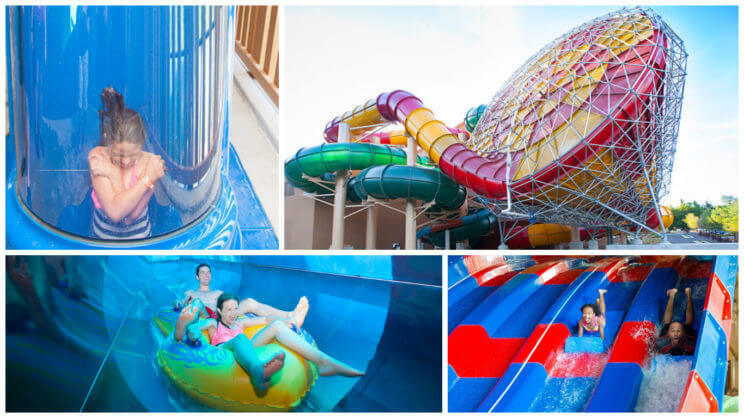 What’s Unique: Great Wolf Lodge features an 84-degree indoor water park, with over 50,000 square feet of water park action. The water park includes the ‘Mountain Edge Raceway’, where you rocket, head-first, through the twists and turns of a four-story drop, the ‘Wolf Tail’, where you step into a launchpad and you’re hurled into a nearly vertical, 20-foot free fall, followed immediately by a 360-degree, high-speed loop, ‘Totem Towers’ water slides, and many more exciting rides, as well as special pools and rides for little ones. Psst… Great Wolf Lodge is currently offering a Grand Opening Special Offer where you can stay at the Family Suite starting at $159.99 by June 2017! *Must book by Jan. 6th, 2017. What’s Unique: Colorado Chautauqua is an escape from routine and a life-led by technology, offering the simple and unique peaceful feeling natures provides. 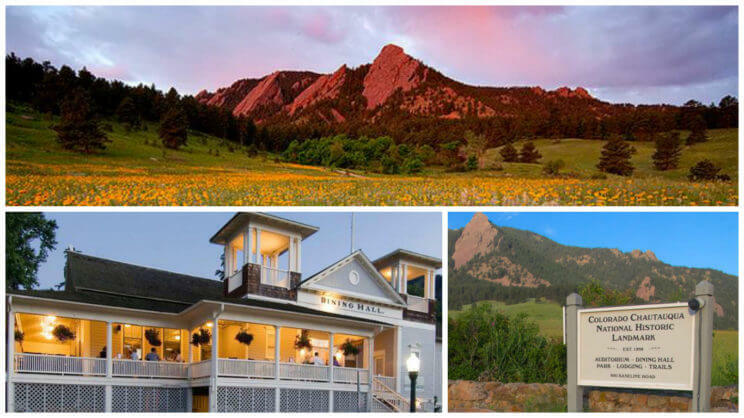 Colorado Chautauqua has been hosting visitors since 1898. Originally visitors slept in canvas tents with wooden floors. Simple cabins replaced the tents and over time those cabins have been renovated into cozy cottages, each with its own unique history and historic charm. While no two cottages or lodges are alike and may include curiosities such as antique or Arts & Crafts furnishings, claw foot tubs, or fireplaces, all accommodations are television and phone-free to allow guests to relax and unplug. What’s Unique: Dunton Hot Springs Resort is a perfectly restored ghost town with hand-hewn log cabins that are exquisitely furnished, a life-worn saloon, trails, and hot springs. All meals, the hot springs, screening room, etc. are included. Dunton’s chef sources local organic foods, and vegetables from their own farm and vineyard. What’s Unique: The Highland Haven Creekside Inn offers you the opportunity to live the fairy tale in a TreeHouse. 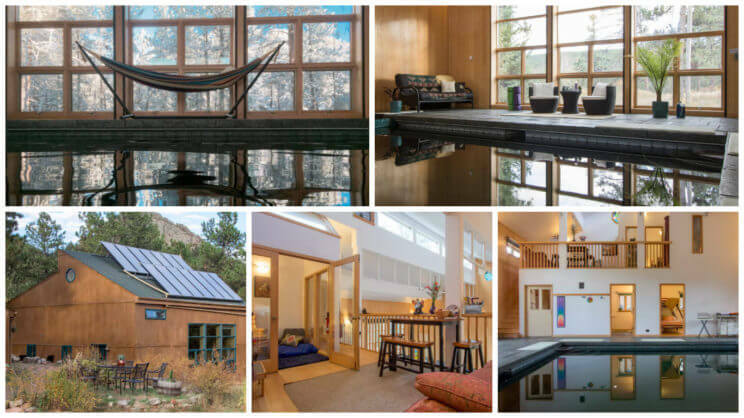 The TreeHouse is a private 850 square foot, three level two-story magical one-of-a-kind hideaway and features aspen king bed, sparkly chandelier, stained glass, custom iron and stone fireplace, two person steam shower, and plush bathrobes. Climb to discover the dreamy spa room with “champagne bubble” Jacuzzi and spectacular view into the towering Blue Spruce trees. What’s Unique: Garden of the Gods Club and Resort is perched high atop a mesa, the Resort offers stunning views of snow-capped Pikes Peak and the natural red rock formations of the Garden of the Gods National Landmark. 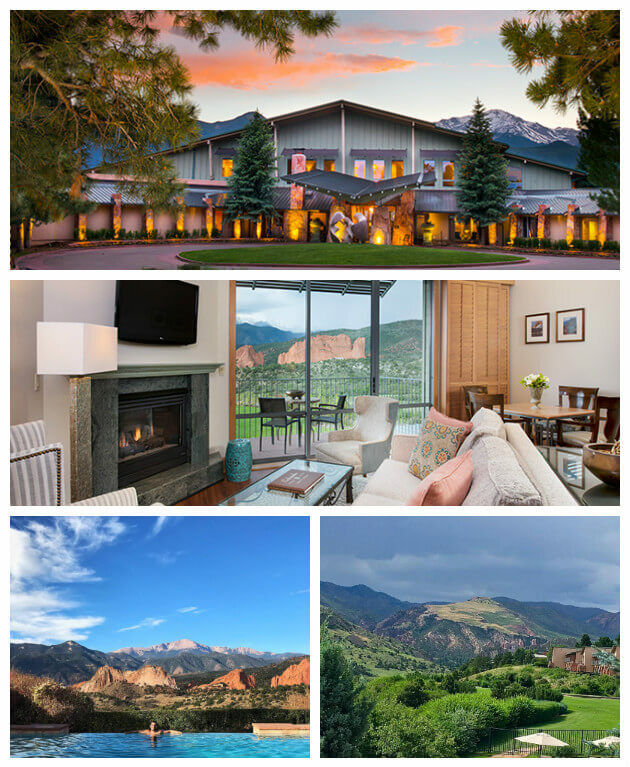 This resort offers 56 guest rooms near Garden of the Gods, 14 of which are suites, that boast spectacular views of the Garden of the Gods National Natural Landmark and the Rocky Mountains. 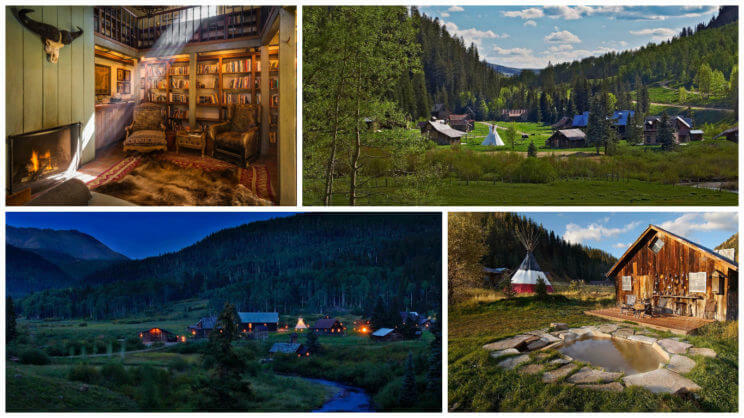 What’s Unique: Rise & Shine Water Temple Mountain Retreat is a sustainable energy, holistic and spiritual retreat center in 8500ft mountains. The retreat offers a private stay in their warm saltwater pool house, which is affectionately known as the “Water Temple”. Enjoy water, nature, Yoga, Reiki, meditation, dreamwork, plants and organic food in a simple meditative space. 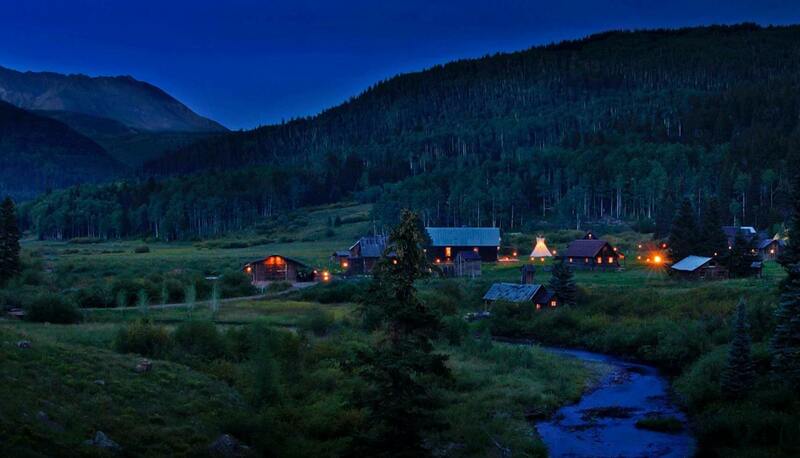 What’s Unique: Elk Mountain Ranch is an all-inclusive dude ranch that offers a one-week adventure encompassing the best of Colorado. 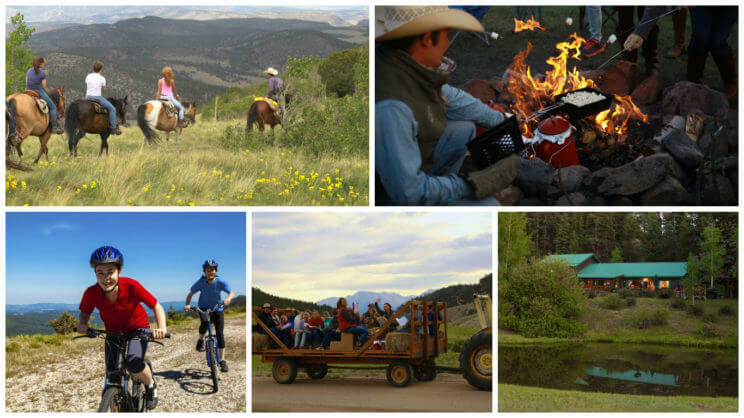 Days at their dude ranch are filled with horseback riding, white water rafting, hiking, riflery, fishing, mountain biking and other activities set against a backdrop of unending vistas. What’s Unique: Wine Country Inn is a wine-themed, Victorian-styled hotel that sits in the middle of 21 acres of vines that produce grapes, which are crushed and bottled as signature label wines. 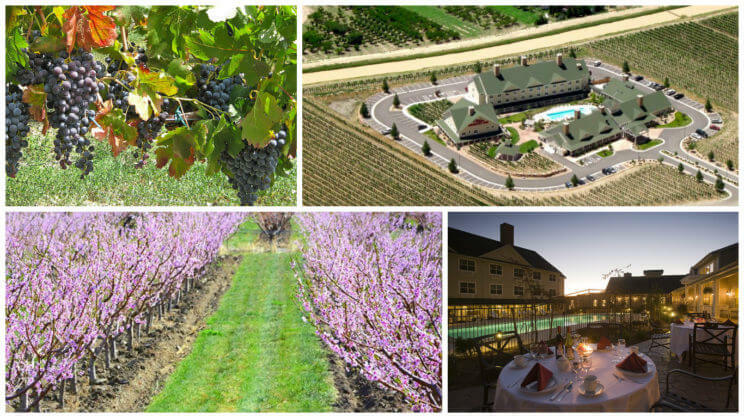 The Wine Country Inn offers complimentary afternoon tastings of their private label wines, a complimentary deluxe hot breakfast, a seasonal, large outdoor pool, an all year hot tub spa, and a fitness room. What’s Unique: Far View Lodge is the only lodge that’s inside Mesa Verde National Park and features rooms with spectacular views. 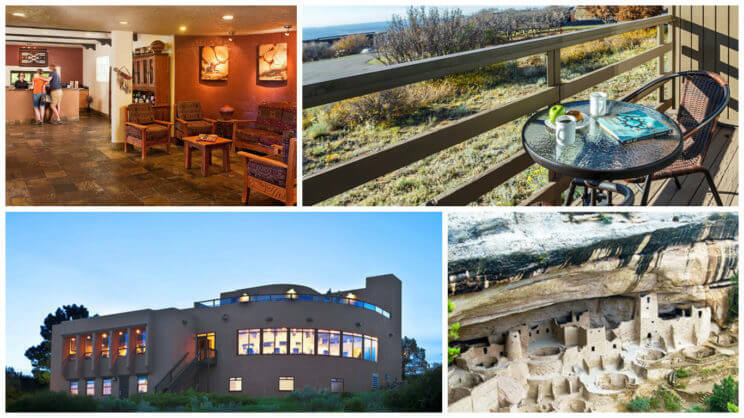 Far View Lodge is located 15 miles inside Mesa Verde National Park, and was designed to reflect the true essence of Mesa Verde, with solitude all around you and freedom from the distraction of in-room TVs or cell phone service but plenty of wildlife watching. What’s Unique: Great Sand Dunes Lodge is located at the foot of the majestic Sangre De Cristo mountain range and offers the peace and serenity of the Great Sand Dunes National Park. 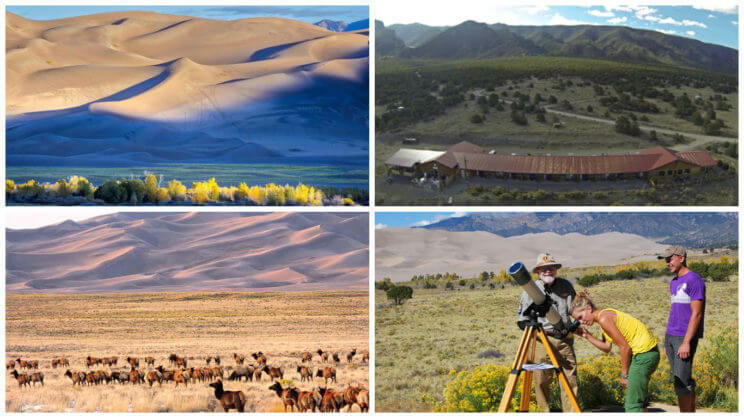 At the Lodge you’ll enjoy outstanding views of 14,000 foot peaks, the wide expanse of the spectacular San Luis Valley, and the ever-changing magic of the Great Sand Dunes.